AVT (booth 5202) is showcasing digital press inspection and control, inspection for labels and packaging web applications, in-line spectral color measurements and next-generation automation systems. As part of the Danaher Product Identification Platform, AVT – along with partner companies X-Rite and Esko – is introducing joint workflows. This includes AutoSet, which connects to the Esko Automation Engine to allow connectivity from pre-press to inspection with close to zero set-up time or operator intervention. Helios S Turbo+ and Helios Turbo HD+ enable operators to run at maximum press and rewinder speeds without sacrificing resolution and quality for inspection and barcode verification. AVT’s Helios D is an automatic, 100 per cent print inspection system designed to support all workflow stages of digital printing. This includes identifying missing nozzles, ink dripping spots, and color changes in real time. 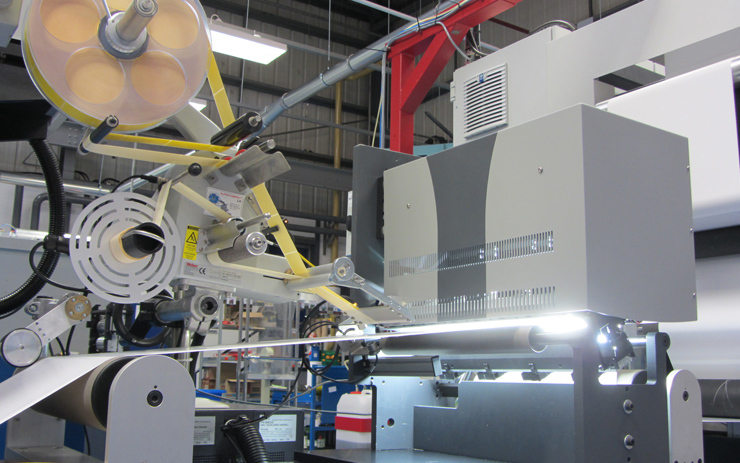 AVT is also exhibiting the Jet-IQ, a closed loop quality engine that works in synergy with press controllers to maintain exemplary print quality, offering full connectivity to all steps and solutions of digital inkjet printing. Also on display is the iCenter cloud-based web application for setting quality standards and automation of workflow across multiple sites, plus SpectraLab II, the next generation of AVT’s in-line spectral measurements platform. This now includes enhanced in-line to off-line color measurement correlation, as well as connectivity to X-Rite’s ColorCert, color reporting platform.